Tri-panel Graduation Announcements with the PU school colors on our unique seal sculpted and foil embossed. Beautifully carved molding with our one of a kind hand-sculpted, foil seal in Park University's school colors. Located in ? County, Park University revels in the art and culture of ?, Missouri. The ? community is extremely proud of each Park University graduating student. Park University sees many of the same students who continue to pursue university degrees. Signature Announcements wants your experiences at high school to be remembered in style with Hand-Sculpted, Foil-Stamped, Park University Graduation Announcements. Gathering friends and family together to celebrate your degree brings an overwhelming feeling of personal accomplishment. Our platinum style Park University Graduation Announcements have been exclusively designed for you. If you are looking for a Graduation Invitation recognizing your degree, you will not find it being sold anywhere on the Park University campus. 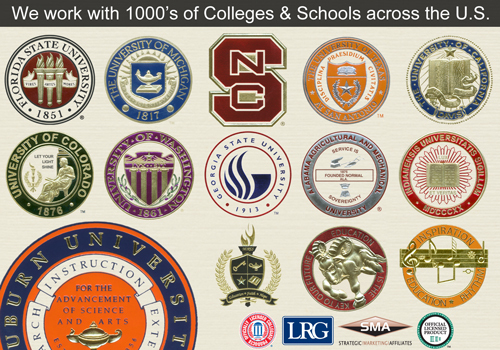 Signature offers YOU your exclusive high school announcement design at an affordable price. Our announcements are the finest quality you can find. From our Professional Platinum Tri-Panel Graduation Announcements, to the Elegant Style Graduation Announcements, to the simple and clean Economy Graduation Cards, you will see that your "once-in-a-lifetime" event demands the highest level of quality and the most professional announcements available. 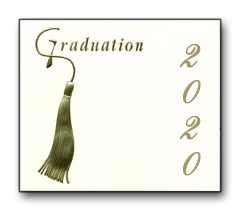 Park University graduation invitations and graduation keepsake covers are also available to remember your special day. We at Signature want you to remember the memories and determination you achieved to reach this special day. You've earned a degree of distinction and we look forward to providing you with a Signature Announcement that will recognize your outstanding achievement. Our Professional Platinum Tri-Panel Park University Graduation Announcement actually opens both up (top panel with our hand-sculpted, foil seal in Park University's school colors), and down. Our Platinum Style Graduation Announcements have been ordered by 100,000's of graduating students. Our distinct, museum-quality Park University diploma frames are crafted with the finest of detail. Every frame is professionally finished and hand-assembled to precise specifications. Each Diploma Frame is custom-sized to exactly fit your PU diploma. Our Elegant Style PU Graduation Announcements are printed on a Fold-Over, Heavy Linen Card with Park University colors. Our custom seal FOIL STAMPED and EMBOSSED in Park University school colors in the upper left corner in full color, and your custom text in the bottom right in the Park University colors. We print your Return Address on Self-Adhesive labels that match the font style of your announcements and the color of your envelopes. These Envelope Labels will save you several hours of time and make your announcements look professional when you mail them out. The Keepsake Announcement Cover is made of heavy linen card stock that matches your Graduation Cards. This is a decorative way to protect and display one of your announcements. Parents and Grandparents often like to keep one of your announcements in a hope chest or memorabilia box. Place your order at our website today and save $$$! Signature Announcements is one of the premier sources for your graduation. Our goal is to make your experience easy and memorable. Quality and customer service are our top priorities!